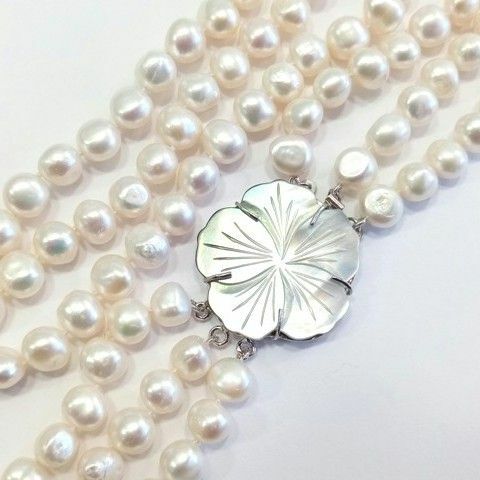 The shortest strand of this dramatic 3-row necklace is about 18 inches including the feature carved and polished Mother-of-Pearl clasp, which can be worn at either side or at the back. 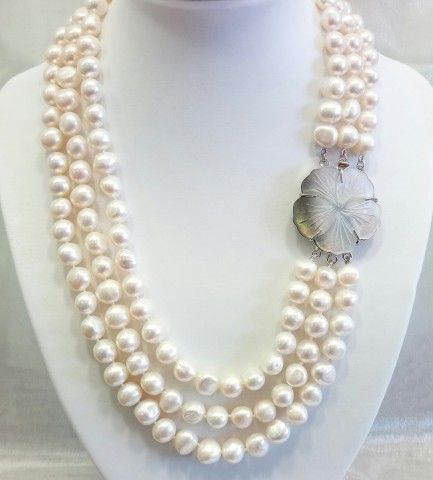 The highly lustrous white 9-10mm *baroque pearls are immediately eye-catching and the necklace has a somewhat 'retro glamour' feel - perfectly suited to a cruise liner's ballroom - or any formal occasion. Your necklace comes in a pretty and practical lined silk pouch. 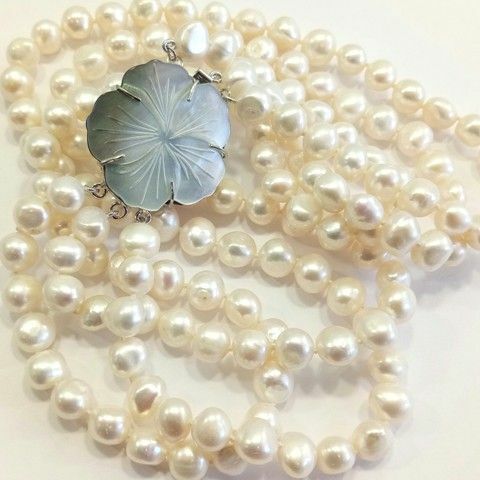 * Baroque is the word jewellers use to describe a gemstone or pearl of asymmetrical, irregular shape.